At Esper Aiello Law Group, we have sought out only the best possible attorneys from all over the state of Michigan to serve our community. 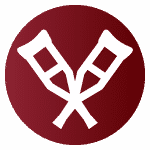 Together, as one professional collective, we aim to offer our unique and valuable legal expertise in a variety of diverse fields of law. 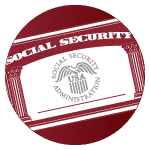 Cases related to workers compensation, Social Security disability, estate planning, and elder law are especially important to the staff at Esper Aiello Law Group. 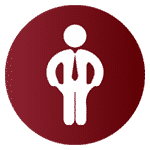 Suffering a personal injury because of someone else’s negligence can take a lot out of you, which is why our personal injury attorneys want to fight for you! Have you been injured in a construction accident that was someone else’s fault? Our construction accidents attorneys can help you get the justice you deserve! Do you want to make sure you get everything you deserve when you file your long-term disability claim? If so, you need long-term disability attorneys like ours! Financial relief is never out of reach if you know where to look. 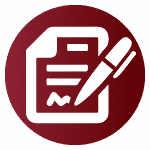 Let our bankruptcy attorneys help you determine which type of bankruptcy is right for you. 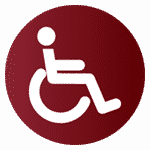 If you are disabled and must rely on social security disability benefits, you are not alone. Unfortunately, as millions of Americans struggle for disability, many well deserving people get pushed aside and their cases are never properly reviewed. If this sounds like you, there is a better way. At Esper Aiello Law Group, our disability attorneys are passionate about using their skills to ensure everyone has equal opportunity to secure the financial stability they deserve. 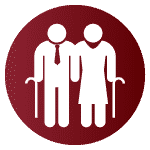 Elder law deals with circumstances related to senior citizens such as long-term healthcare, disability issues, Medicaid and Medicare, and more. Preparing ahead of time for your own care is the best way to ensure your golden years are stress free, which is why we encourage people of all ages to contact one of our elder law attorneys at Esper Aiello Law Group to begin preparations that will help you secure a more relaxed and enjoyable future. Estate planning is something everyone should think about regardless of age. Accidents can happen unexpectedly at any time, and the consequences can leave your family grossly unprepared. Wills, powers of attorney, trusts, and more can be great ways to give you the peace of mind you deserve; knowing that no matter what happens, your loved ones will be taken care of. At Esper Aiello Law Group, our estate planning attorneys are remarkably adept in helping people plan for what will happen to their valued assets after they move on, and we can help you too. Michigan law agrees with us, no matter what kind of injury you suffer or whose fault it was, you deserve workers compensation if you have been in a workplace accident. 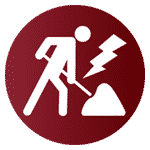 If you are a victim of a workplace accident, our workers compensation attorneys at Esper Aiello Law Group are ready to stand up to anyone who would attempt to stand in the way of your right to appropriate compensation. Personal injuries can include all types of accidents, but it eventually boils down to someone else’s negligence personally costing you big. Whether you’ve suffered a permanently debilitating personal injury, or you are one of the lucky ones whose injuries will pass with time, our personal injury attorneys at Esper Aiello Law Group will do everything possible to ensure that you receive retribution for your physical and emotional pain and suffering. Regardless of what type of construction accident you were involved in, or what type of workplace injury you suffered as a result, the most important thing you can remember is that you can always find the legal support you need to fight for what’s yours at Esper Aiello Law Group. Our construction accident attorneys will never give up on you, or on what’s rightfully yours! The process of filing for long-term disability claims is one that can actually be quite long and complex. To make sure everything is done correctly, and guarantee that you have the best chance at receiving the long-term disability benefits you need, choose our long-term disability attorneys at Esper Aiello Law Group to handle your case. If the weight of your financial burdens is simply getting to be too much for you to bear alone, our immensely compassionate bankruptcy attorneys at Esper Aiello Law Group, are always here for your support. We can help you determine precisely which type of bankruptcy is right for you quickly and efficiently, and then proceed to carefully walk you through each step, until the process is complete and you’re finally able to get the relief you deserve! At Esper Aiello Law Group, our primary passion is helping people. 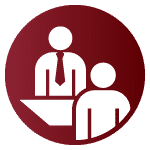 Whether you’ve been injured on the job, have a disability, or are simple worried about your future and the future of your family and assets, our highly-trained attorneys can help you. Contact our office today at 313.964.4900 or fill out the form in the sidebar or on our contact page, to learn more about our expert attorneys and how their representation can change the fate of your future.